Welcome! Before I jump in, I want to take a sec to sincerely thank everyone who has been leaving me comments, subscribing to my YouTube channel, liking my Facebook page and just encouraging my efforts. I’m really new to the crafty scene and it just means so much to me when readers take the time to support my efforts. THANK YOU!! Okay, so this week the Colour Me…! challenge stumped me! The colours are yellow, orange, and green. For some reason, the warm autumn colours just weren’t getting my juices flowing so I had to give this one a good think. Slow and steady wins the race! 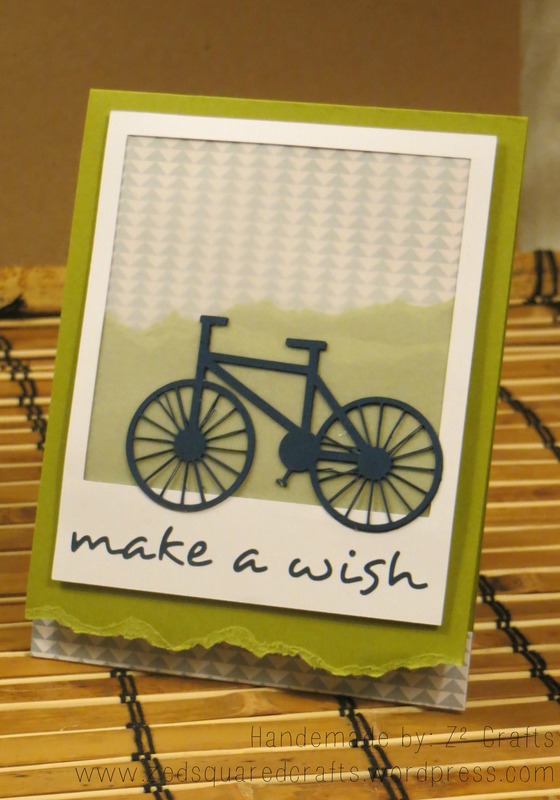 I used the adorable Lawn Fawn Year Two set for all of the stamping. I’ve mentioned before that I am a novice colourer so I will use any excuse to practice. I stamped the turtles in VersaFine Onyx Black ink and then used my colour pencils and blending solution to colour them in. I stamped the party hats onto the turtles after I finished colouring and then paper pieced the triangle hat part using orange and yellow paper. 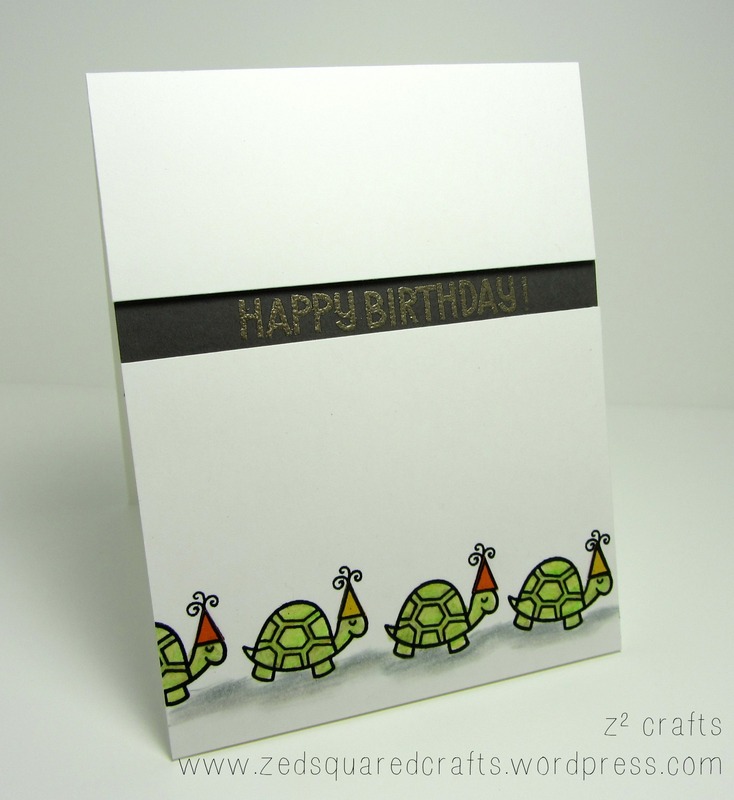 To finish the card, I used Versamark ink to stamp the ‘Happy Birthday’ sentiment onto some slate cardstock and then heat embossed with Ranger Liquid Platinum powder. I adhered the slate strip directly onto my 110# white A2 (4¼ x 5½”) cardbase using permanent tape runner and then used foam tape to adhere down the top panels. Another new challenge! I had a blast creating my card for the Colour Me…! Challenge Blog. You know how sometimes you get an idea and just run with it and it actually works out? Well, that’s what happened last night when I created my Team Tara challenge card. There is a double challenge this week. For this card I used the Team Tara Colours. To play along, crafters create using only the challenge colours (and neutrals). I used papers in my stash that were as close to the Stampin’ Up colours as I had. 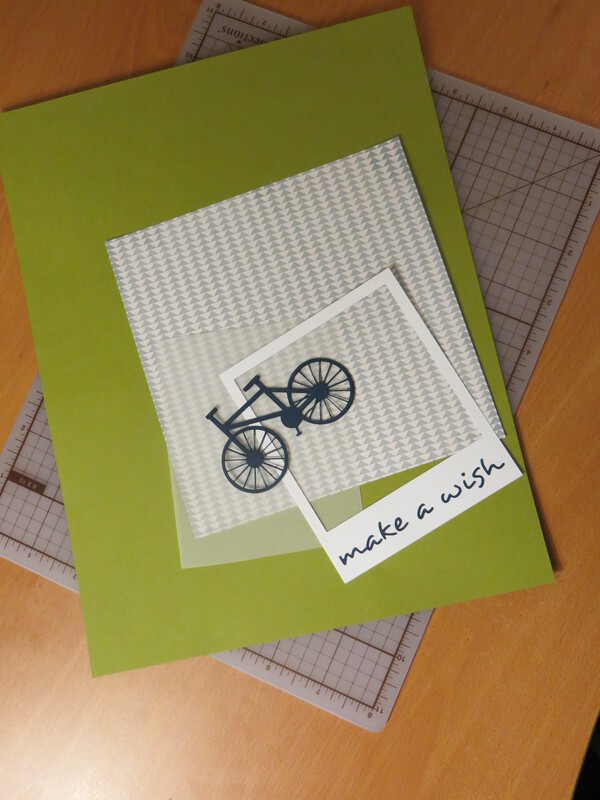 I started with my Silhouette and cut the shapes I needed: bicycle (navy), Polaroid frame with “make a wish” cut out (white), and the senitment “make a wish” (navy). Since the spokes were so delicate, I glued together two navy bicycle shapes with the intention of making it more sturdy. I used my tape runner and adhered a piece of scrap paper on the backside of the frame behind the words. Next, I inlay the navy letters into the frame. You can see the pieces ready to be assembled, below. I began work on the frame (I was going for a Polaroid look) by adhering a piece of vellum on the inside from the back. I cut my pale blue (soft sky) patterned paper to a little bit larger than the frame’s opening and then cut two strips garden green paper. I tore the top edges of the green paper and then positioned them on the patterned paper to look like a landscape of sorts. I adhered the patterned paper and green strips together and then adhered my landscape background behind the frame. That last thing I did was to affix the bicycle in front of the frame. I mounted my completed Polaroid piece with foam tape onto a garden green A2 cardbase. At this point, I felt like the card needed something to finish it off. I tried a piece of pale blue ribbon but found that it didn’t work with the masculine look of the card, so I opted to tear the bottom edge and adhere a strip of the pale blue patterned paper on the inside of the card. I had so much fun creating this card! All the Silhouette shapes I used were free (I think they came with the Silhouette Studio software). The patterned paper is from the Pink Paislee Pen Pals Collection. The navy and green cardstocks are made by Recollections.